A shocking 50% of Americans have gone into work hungover at some point in their lives. So needless to say the pain and grogginess of a hangover is a pretty common problem. With that being said, we’re going discuss how hangover IV therapy could be the hangover cure you’ve been searching for, as well as the associated risks. So, without further ado let’s dive on in! 1. What’s Hangover IV Therapy? 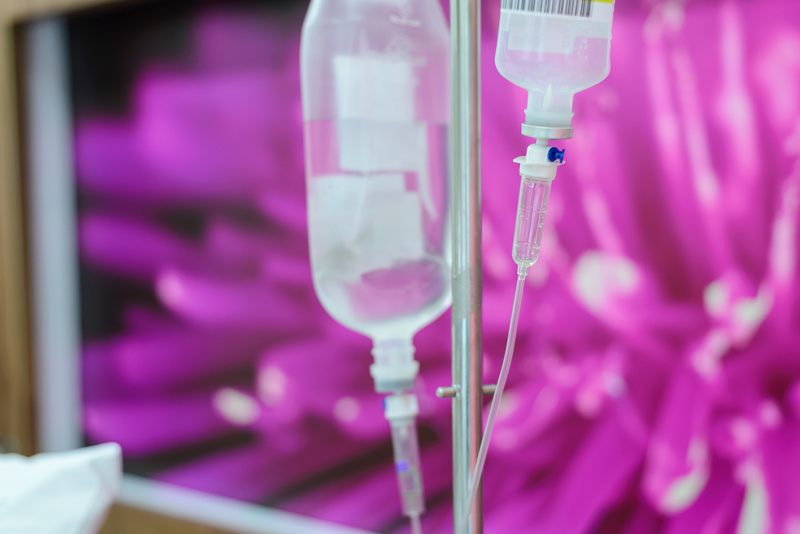 As you probably already know, hospitals have used IV therapy for decades. 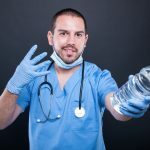 However, it’s now become increasingly popular for independent clinics and house call-type services to offer this procedure as a hangover cure. This trend initially surfaced as a viable way of reducing the workload of strained hospital departments. However, this procedure is relatively expensive. It’ll set you back anywhere between $199 and $250. If this is something you can afford, all you have to do is call up a company who offers this service and someone will come over with all the necessary equipment. Or, you might have to pay a visit to their clinic. 3. What Kind of Lifestyle Benefits Most from This Treatment? For most of us, we can’t justify this as a regular expense. Plus, there are genuine ethical concerns with regards to people viewing this as a healthy solution to binge drinking. It’s not. It’s as simple as that. So we recommend only utilizing this method for special occasions; new years, birthdays, etc. However, if you’re working a high paced job where you don’t have the time to adequately refuel your system you’ll suffer from dehydration which can sometimes feel like a hangover. If you fall into that category, you may be interested to hear that hangover IV therapy could have you back up and running and feeling as good as new for next big meeting. 4. What Do the Bags of Fluid Contain? Famotidine (this is a histamine H2-receptor, it’ll inhibit stomach acid production and hence stop you feeling sick). However, you must always check with the company you’ve opted for- as ingredients may vary. 5. Why Does it Work? We experience hangovers because alcohol inhibits the body’s anti-diuretic hormones. For those of you who don’t know, we need these hormones to absorb water from the fluids we drink. When the level of these hormones drops (which happens when we drink too much alcohol), we take less water in and push more water out, causing us to urinate more. Hence, our bodies are left without enough water, and so we feel dehydrated as a result. The IV solution seeks to replace the water, vitamins, and nutrients we lose after a heavy night of drinking. Hence, combatting that nasty hangover feeling. 6. What Are the Risks? 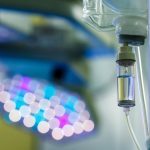 Before you try IV therapy for yourself, you should know that this procedure isn’t safe for everyone. Especially, those suffering from congestive heart failure. If you suffer from a health condition like this, then pumping excess fluids into your blood will place further strain on your body. Plus, those who take specific medications or suffer from allergies that conflict with the IV solution won’t be good candidates for hangover IV therapy. Make sure you do your homework and find out whether it’s safe for you to try. 7. How Do I Choose a Clinic? Clinics aren’t all the same. Some feel incredibly makeshift whereas other appear more clinical. Surprisingly, this procedure isn’t very regulated which is why the standard of clinics varies so much. Therefore, we recommend swotting up and doing your homework before picking an IV therapy clinic. They should take you through a thorough medical evaluation before the procedure. This includes asking about your medical history, medications, and allergies. Check online reviews, and see if they have any certificates, or belong to any professional organizations. Ask whether they use an infusion drip or a pump. Always, opt for a clinic that provides a drip because a pump is harder to monitor which can result in administering too much of the solution. Also, never let anyone squeeze the bag. This is a sure-fire sign they’re trying to get you and in and out, and it’s not good for you. Additionally, you should always trust your gut. If you have a bad feeling about a clinic, don’t use their services. Never feel pressurized to stay and see the procedure through. Although hangover IV therapy provides a solution, it isn’t an instant cure. It’ll take time to feel the full benefit. Needless to say, this should never be a regular process. Always aim to drink a healthy amount of alcohol. Too many doses of these kinds of supplements can have a seriously adverse effect on your health. Including increasing the risk of cancer. So, these risks aren’t to be taken lightly. If you liked this article, we’re confident you’ll love the other features we’ve published on our blog. We discuss everything from amino acid therapy to hangover myths. Enjoy! Alternatively, if any of the content you’ve read here has struck a nerve with you, please feel free to reach out and contact us. We look forward to hearing any of your questions and concerns. One of our team of professionals will be happy to help — speak to you soon!